The World Travel & Tourism Council 2019 Global Summit with the theme of ‘Changemakers’ will celebrate and gather the people and ideas who are defining the future of our sector. It will also be the first time that WTTC is extending the invitation to attend the Global Summit to a wider group of senior industry professionals. 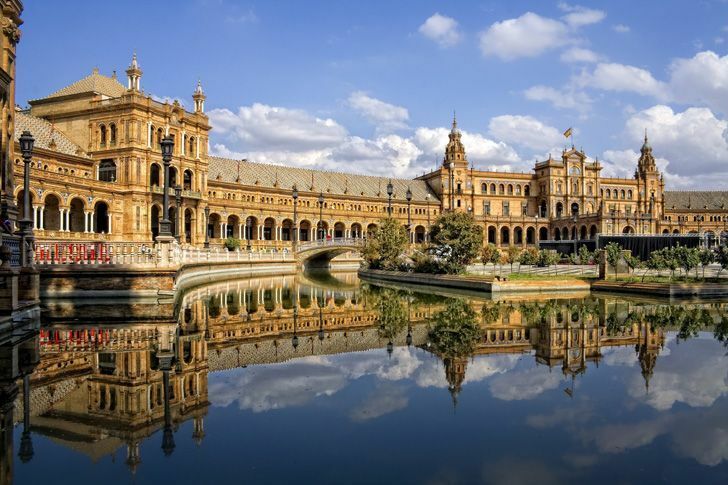 The 2019 WTTC Global Summit will take place in Seville, Spain, on 3-4 April and will be hosted by Ayuntamiento of Seville, Turismo Andaluz, and Turespaña. The Global Summit will be centered on the theme of ‘Changemakers’. The Travel & Tourism leaders will celebrate the 500th anniversary of the departure of the first circumnavigation of the world, which set out from Seville while shaping the future of our sector. This will be the first Global Summit to which industry professionals and people interested to hear from the leaders will be able to attend by paying a recovery fee. Until now, the Summit has been by invitation only, encompassing WTTC members and travel leaders. 2019 thus marks the first year that a limited number of guests from across the sector will be able to join. Gloria Guevara, WTTC President & CEO, commented, “The WTTC Global Summit is the principal event where the global public and private leaders of our sector meet. We are happy to be back in Europe and especially in the beautiful city of Seville, where we will celebrate the 500 years since the first circumnavigation, while we define and shape the future of our sector and recognize the ideas which will make it happen. Anyone wanting to know what the future of our sector looks like should come to the WTTC Global Summit. “At our last summit in Buenos Aires we had more than 1,300 delegates with more than 100 CEOs, the President of Argentina, the Prime Minister of Rwanda, more than 30 ministers or heads of tourism, three former presidents, three United Nations’ Secretaries General (UNWTO, UNFCCC and ICAO) as well as leaders from PATA, IATA, WEF, CLIA, and even one Academy Award-winning film director. As always, the WTTC Global Summit attracts best speakers of the highest caliber from the private and public sectors. The list of speakers will be announced in due course. 2019 also marks 15 years of WTTC’s Tourism for Tomorrow Awards, one of the world’s top accolades in sustainable tourism, which recognize the highest ethical standards in the sector and champion those organizations setting the standard in developing destinations equitably and responsibly. This year, WTTC has revamped the award categories to introduce a special Changemakers Award to mark the Summit’s theme, alongside the Social Impact Award, Destination Stewardship Award, Climate Action Award and Investing in People Award. Entrepreneurship, innovation, and inclusivity will be at the core of conversation throughout the Summit. Event speakers will be composed of public and private sector leaders, as well as academics and representatives of international organizations. Applications for the Tourism for Tomorrow Awards are open and will close on 14 November 2018. Visit wttc.org/T4TAwards for category guidelines, case studies on past winners, and the application form.